‘BUY 1, GET 1 FREE’. LIMITED SEATING. PURCHASE TODAY! TO RECEIVE YOUR SENIOR DAY DISCOUNT, CALL 561-330-6000 OR USE LINKS BELOW AND UNDER “ACCESS AN OFFER” ENTER PROMOTIONAL CODE SENIOR FOR BOGO TICKETS. *Seniors must be at least 55 yrs. old, and offer may not be combined with any other promotions. *Proof of age required at the gate. Enjoy a day or evening with your friends, teammates and club members! Whether your a sports fan cheering on your favorite players, while sitting court-side with your closest friends… or looking to plan a company event or group outing to the championships, bring your group (15+) to “The Beach!” All groups of 15 or more receive 30% off Box and Reserved Stadium Court seats and leader benefits! Welcome PA Announcement with on-court video board welcome. 2 Complimentary tickets** to any 1 session of choice (up to $180 value!). 2 Complimentary tickets** to any 2 sessions of your choice (up to $340 value!). 1 Preferred parking pass for chosen sessions. 2 Complimentary tickets** to any 2 different sessions of your choice (up to $360 value). 2 Complimentary Invitations to the Box Holders Series’ Reception (Wednesday Evening). 2 Complimentary tickets** to Wednesday’s Evening session. 1 Preferred parking pass for above sessions. Stadium Court “Group Leader” Coin Toss with ATP Players (session TBA). 2 Complimentary tickets* to session of Coin Toss. * Senior Days tickets count as 1/2 the total tickets needed for Group Benefits. ** Complimentary Tickets must be the same ticket type as the Group tickets sold. VIP badge holders and series box holders, revel in all new chic stylings by Furniture by Jeanne on the Lounge terrace and inside enjoy Boynton Billiards challenge of billiards, ping pong, corn hole and more in the tournament’s new game room, for the private use of VIP Clubhouse Lounge patrons. Not a VIP badge holder or series box holder? Upgrade your daily ticket for only $15 and gain access to the terrace, the game room, 2-4-1 beer and wine, TV’s showing stadium coverage, wifi, food service and more. Located on the second floor of the Delray Beach Tennis Center Clubhouse. RECEIVE 20% OFF BOX AND RESERVED STADIUM COURT SEATS IF YOU PURCHASE THREE OR MORE TOURNAMENT SESSIONS*. Offer ends January 19, 2020. RECEIVE 10% OFF BOX AND RESERVED STADIUM COURT SEATS IF YOU PURCHASE DAY AND EVENING TICKETS FOR THE SAME DAY*. FRI., FEB. 14 – FRI., FEB 21, 2020. THE ULTIMATE OFFER FOR THE ULTIMATE FANS! USTA members receive specially-priced (20% off) discounted tickets for sessions 1 – 14 (Day and Evening). A limited number of discounted tickets are available and must be purchased by January 31, 2020. Use your promotional code to receive your USTA discount. 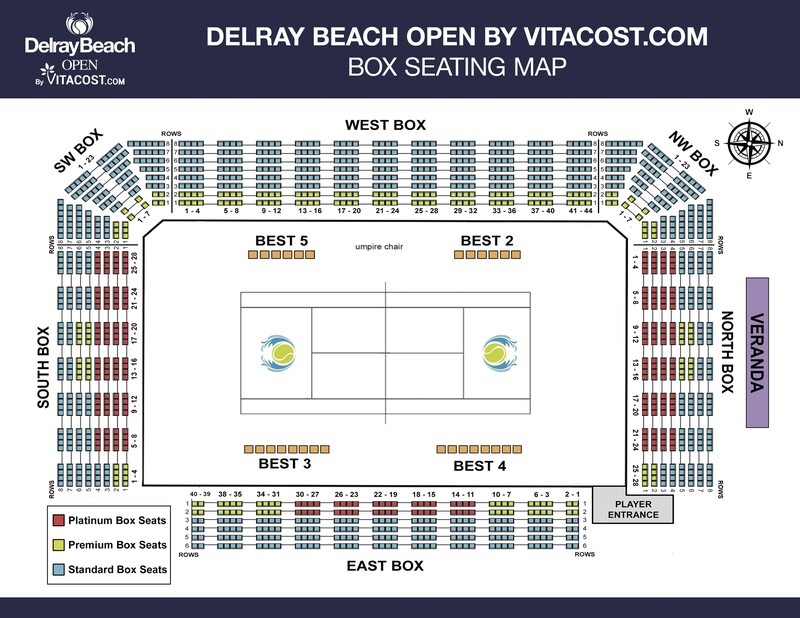 HOST YOUR EVENT AT THE DELRAY BEACH OPEN BY VITACOST.com! Looking for something DIFFERENT for your next event? The Delray Beach Open by VITACOST.com currently hosts over 10 special events on-site, and we would love to host yours too! Whether you’re looking for a corporate event, milestone birthday party, charity fundraiser or club gathering, an ideal hospitality package will be custom-created for you. For questions, pricing (menu, beverage, & ticketing options) or available dates, please call Adam Baron at 561-330-6000. Donate 8 non-perishable food items and receive 1 FREE Seat for that session. Proceeds benefiting CROS (Community Food Pantry / Christians Reaching Out To Society). Limit 1 seat per person. AGES 1-2 FREE. AGES 3–12 RECEIVE 50% OFF STADIUM COURT RESERVED SEATS. Offer only valid with the purchase of an adult ticket via phone. Call 561-330-6000 for details. Excludes Finals Sunday. 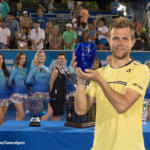 FRI., FEB. 14 – MON, FEB. 17, 2020: ALL U.S. MILITARY, LAW ENFORCEMENT & EMERGENCY SERVICES PERSONNEL ARE INVITED TO SHARE IN THE EXCITEMENT OF THE DELRAY BEACH OPEN BY VITACOST.com FOR FREE! Redeem tickets at the Box Office by presenting an official department ID/badge on applicable dates (business cards and pay stubs will not be accepted as forms of ID.) Two free Reserved seat tickets per ID. WANT TO HOST A PRIVATE CLINIC OR TOURNAMENT ON-SITE DURING THE ATP EVENT? Call the Delray Beach Open by VITACOST.com staff and we can create a one-of-a-kind memory especially for you. Current and past on-site tennis events include: Ultimate Experience Legends Clinic, Bryan Brothers Clinic, Kidz Day, NCAA College Matches, USPTA Ladies Round-Robin, Corporate Clinics, ATP Doubles Pro-Am & more! 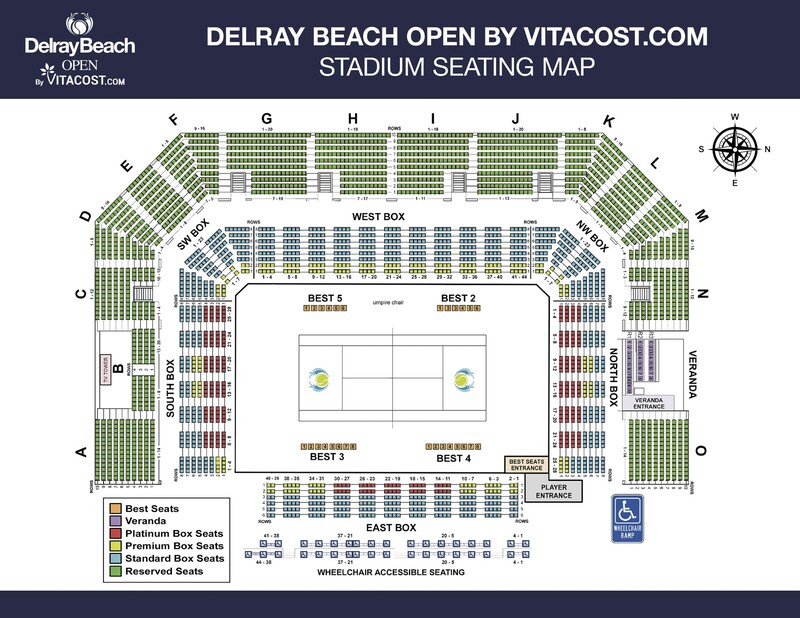 We look forward to making YOUR event an unforgettable experience at the Delray Beach Open by VITACOST.com!